Sadness | Just Shooting Memories! My wife told me several days ago that I should write several posts at a time. I failed to take her advice and here I am writing at some horrible hour. I just can’t imagine writing for several days post at one time. What do you guys do? 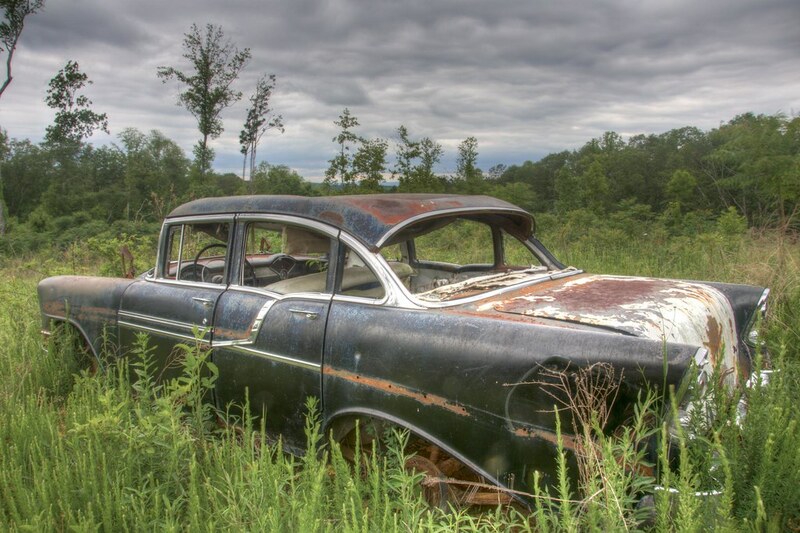 The sad state of this classic old car breaks my heart. I pass by this frequently. Unfortunately, it is in a place with no other company but the sunset…and oh how beautiful it can be here sometimes. I just wish the owner would put a little tender loving care into it. And then retire it to this lovely sunset over look. I’m trying to just stay ahead of a photo a day, finding time to process and all. I do wind up writing the post at the last minute. I’m going to have to schedule better and do some in advance too. I bet there are many collectors that would come with their checkbook and pick that car up, if they had an address. Where this is, I have no idea whom the owner would be. It is between a county water tower and a residence. While taking those photos, the homeowner was watching me and did not run me off. Either they see it all the time or I was just lucky.